What are the limits of viewing points and rasters together in QGIS 3D (either in-app or using qgis2threejs) in comparison to ArcScene? I am using QGIS 3.4.3. 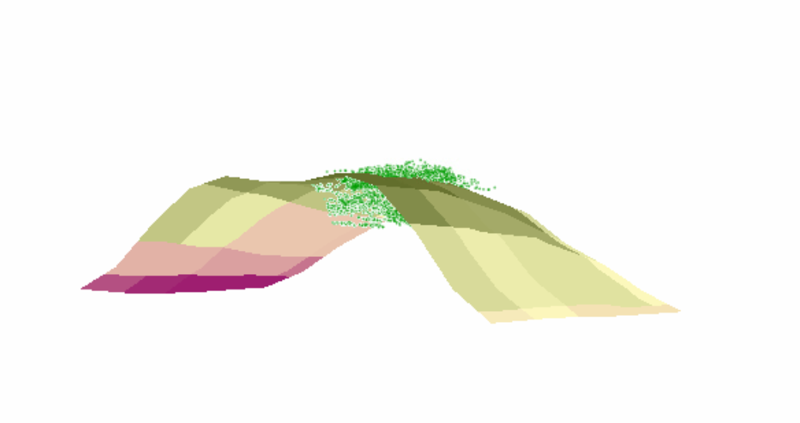 I am an archaeologist and I would like to appropriately 3D view the Z relationships between (1) total station-derived points (with XYZ attributes), which I took on multiple superimposed excavation layers, along with (2) DEM or TIN rasters. These ts vector points and DEM/TIN rasters should be superimposed like a layer cake, because they are excavated surfaces that were documented sequentially as dirt was removed. 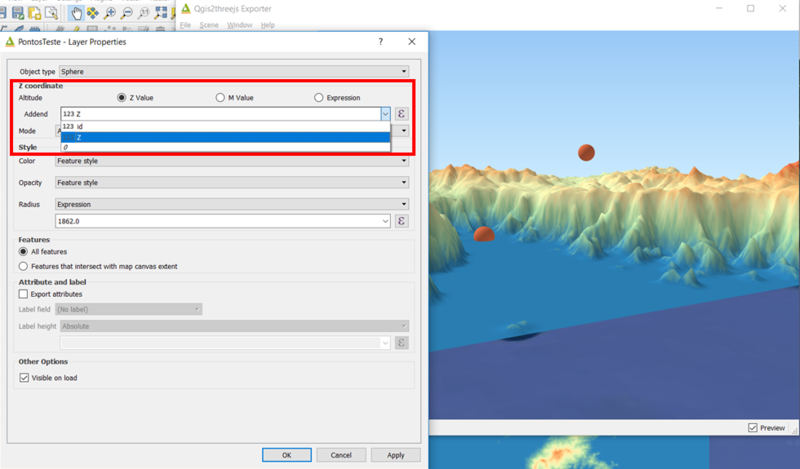 Can neither QGIS 3D view nor the qgis2threejs plugin show rasters and vector shapefiles together in their absolute positions like ArcScene can? If so, it is good to know that this is a limitation of QGIS and I should stop looking for ways around it (I respect that the 3D viewer is newish). Or is it that I am just not understanding how to appropriately adjust settings for the rasters? If it is a limitation of QGIS, are there any open source or affordable software options that I can use to easily view the superposition of multiple points and raster layers together in 3D? Bonus would be to also be able to click on vector points to identify their attributes: most important for my need is to be able to review and explore the data rather than to create a publishable image. I've migrated nearly completely to QGIS from ArcGIS, but I may have reached a wall with this. Having done further research to find a solution/alternative, it seems that I should be able to use NVIZ to visualize in 3D within QGIS to visualize several layers of different kinds at once, and NVIZ appears to be more sophisticated than QGIS's 3D view or qgis2threejs. But I've not yet mastered how to use it: the log after running NVIZ ends with "Loading resulting layers; "Algorithm 'nviz' finished" but no window pops up to show the 3D data as the process should (apparently) do. 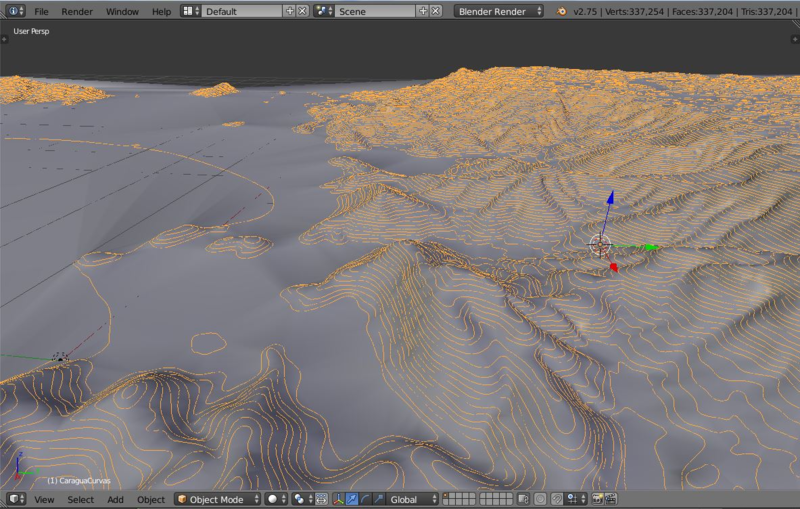 For a better visualization, you can use Blender, and Blender GIS. Not the answer you're looking for? 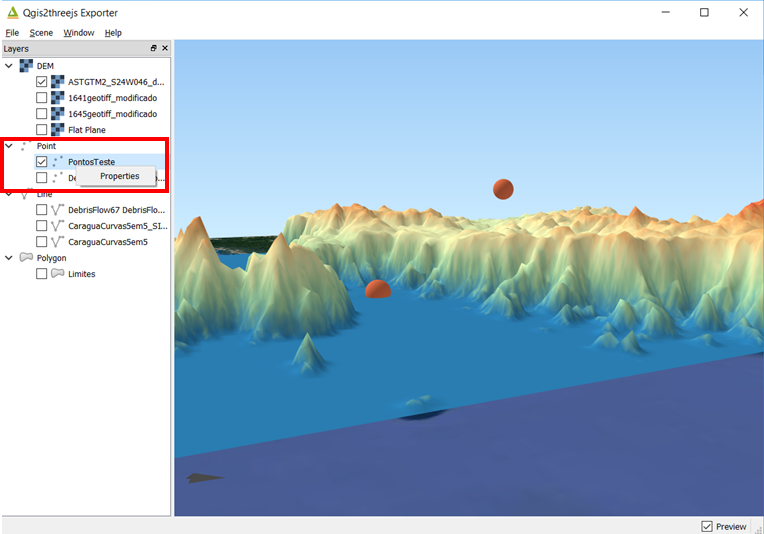 Browse other questions tagged qgis raster grass 3d qgis2threejs or ask your own question. How to properly Drape vectors over a DEM? Where is the nviz tool in qgis 2.14 with GRASS 7.0.3? Dealing with NODATA_VALUE of ascii grid in qgis2threejs plugin?